While you’re reading this article, your body is operating normally, keeping your heart beating, your lungs breathing and your brain engaged. The amount of calories your body needs to keep all its parts functioning while you’re at rest is called the Basal Metabolic Rate or BMR. 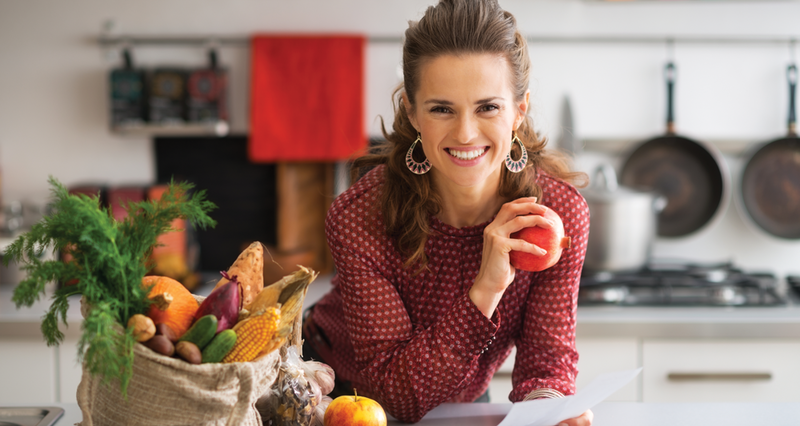 When you know your BMR, you have taken the first step to crafting a healthy weight-loss plan. 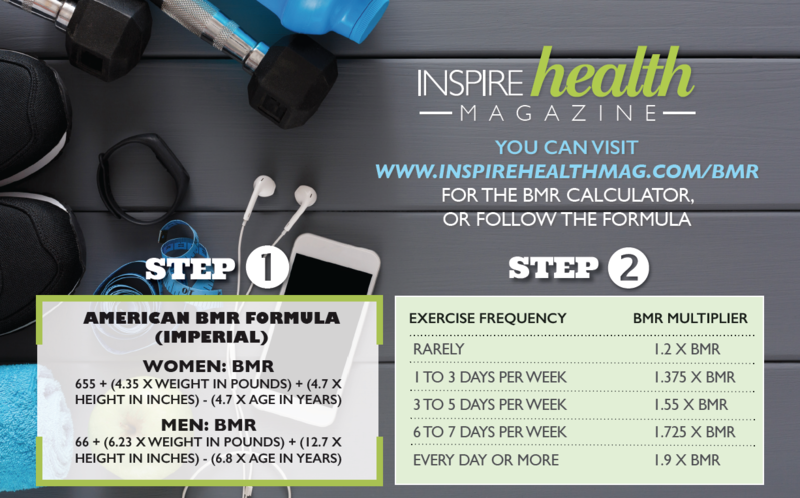 You can use the Inspire Health BMR Calculator at inspirehealthmag.com/BMR to find your resting caloric burn. But this is only the first step. 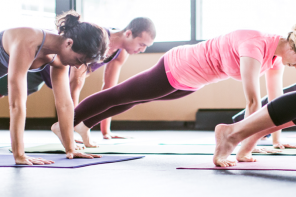 Your daily activity level controls the total number of calories you need. Use the BMR formula below (Step 1) to determine your Basal Metabolic Rate, then multiply your BMR by the Exercise Frequency Chart below (Step 2). Multiply your BMR by your activity level on the chart. That figure will be the total calories your body requires daily. Now you have the starting point for a healthy diet. Simply reduce your daily caloric intake while maintaining your present activity level and you’ll lose weight by burning more calories than you consume! caloric intake by 500 calories a day. 500 calories x 7 days = 3500 calories or 1 pound. Of course, you have to be smart about how you manage your diet. Instead of eliminating certain food groups, practice portion control. Choose nutrient dense foods with simple ingredients. Hydrate well, increase your protein intake and manage between meal hunger with healthy snacks. 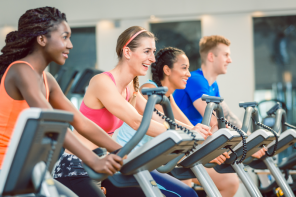 Establish an exercise routine of cardio high-intensity interval training (HIIT) and couple that with resistance training to increase your body’s resting metabolism. Weight training builds muscle mass and muscles burn more resting calories than fat. Want to lose weight faster? Build those muscles! When you know the exact number of calories your body needs, dieting becomes a simple numbers game. You’ll be the big loser! When the body is short on calories, it goes into starvation mode and stores calories it would otherwise burn. For an interactive BMR Calculator visit www.inspirehealth.com/bmr.